Meet current Skillcrush student Jocelyn Remington. 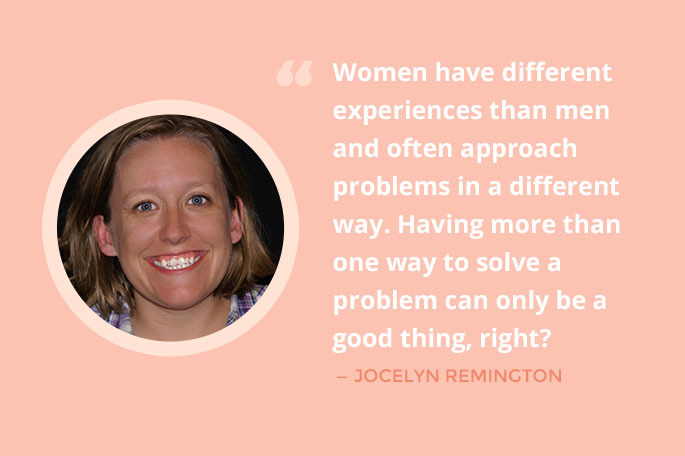 Jocelyn received her undergraduate degree in communications and worked as a graphic designer for a few years before becoming a stay at home mom to two daughters. During this time, she earned a masters degree in education. 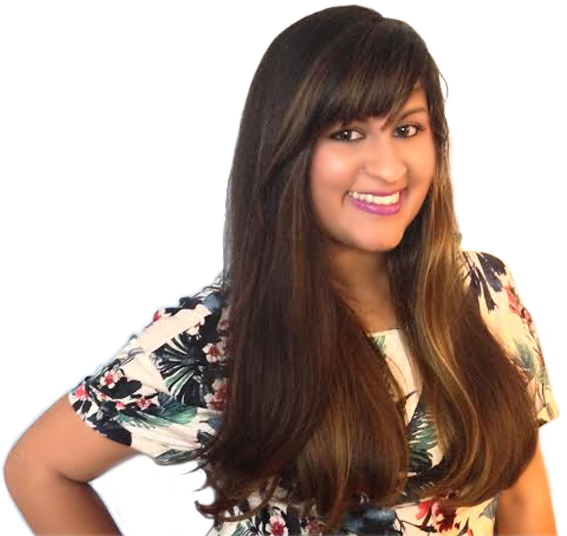 Jocelyn is taking a Skillcrush Blueprint as she enters her third year as a kindergarten teacher at a small charter school in North Carolina that focuses on STEM education. She hopes to take her newfound skills and empower her students and colleagues. We were so inspired by Jocelyn’s passion that we sat down with her to find out more. 1. How did you learn about Skillcrush? I get an email every day called STEM Connector. One of those emails highlighted Skillcrush as a great place women (and men) can learn to code in a more conversational way. I read the article and immediately signed up for the free boot camp! Now I’m taking a full Blueprint. 2. What appeals to you about online education? I love that I can work at my own pace. I can get a weeks’ worth of class done in one marathon evening and then let my brain rest for the rest of the week. However, I enjoy what I’m learning so much that I don’t want to stop for long and with Skillcrush I can keep moving on whenever I want. I have two daughters and a husband who support me every time I tell them I want to learn something new. 3. Why did you decide to learn how to code? Last year I did the Hour of Code with my kindergarten students and harassed the other teacher at my school into getting their students involved. It was amazing how much interest students had in coding and how easily they picked up the skills. I really wanted to teach them more but my own knowledge in the subject was pretty low. I tried to learn on my own through Code Academy and Khan Academy and had some success. However, nothing compares to the step-by-step instruction I get at Skillcrush. 4. Why/How did you decide to get involved teaching STEM activities to young kids? I have two daughters, a third-grader and a first-grader. My oldest has dyslexia which means reading (and school) can be pretty frustrating for her. She’s great at math and she sees the logic in things that other kids her age don’t always see. Plus, she loves to make things. 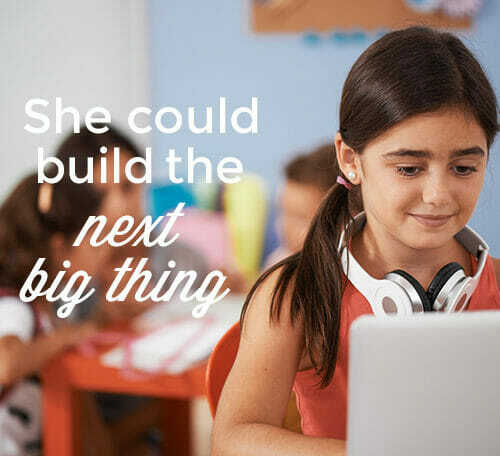 I got involved with teaching STEM to my own girls so they can be more confident in themselves and their abilities outside of what is on a standardized test. Watching my daughters really bloom through their involvement in STEM made me want to get other kids involved. Now I run STEM camps three times a year for students in kindergarten-5th grade. 5. What’s your favorite thing you’ve learned in class so far? 6. Why do you think we need more women in tech? The most important thing to me is getting to the point where my daughters can pursue a career in tech without feeling harassed or discriminated against. I want them to grow up and be able to be anything they want–for real. I want their friends to think it’s totally normal for a girl to enjoy video games and LEGOs and messing with computers. When I was in high school I had a geeky website and knew a lot of beginner HTML but it never occurred to anyone to encourage me to pursue a career in tech, it never occurred to ME to pursue a career in tech. Women in STEM needs to be the norm for the sake of our daughters and for the sake of innovation. Women have different experiences than men and often approach problems in a different way, having more than one way to solve a problem can only be a good thing, right? 7. What do you want to learn next? It would be awesome to learn to make apps that I could use in my classroom to help kids become better readers. I also want to know how to play the guitar, and maybe a banjo. And I recently bought a kit to help me learn how to solder (I like to learn things). 8. How do you use technology to relax/unwind? I love a good podcast. I’m kind of addicted to This American Life and can be totally inspired by a TED talk. I also like to challenge my math skills with Khan Academy (I’ve almost mastered 4th grade math, woo-hoo!). And I don’t go anywhere without my Kindle Paperwhite. 9. What’s the best advice you’ve ever received? My whole educational philosophy is built around an Albert Einstein quote, “Everyone is a genius but if you judge a fish by its ability to climb a tree it will live its whole life believing it is stupid.” Everyone is great at their own thing, and that’s why I love STEM- everyone can have their own thing! 10. What advice do you have for newbies learning to code? Don’t be scared to feel stupid! I feel like I might be in over my head about 20 times a day. That’s ok, that’s how you know you’re learning! 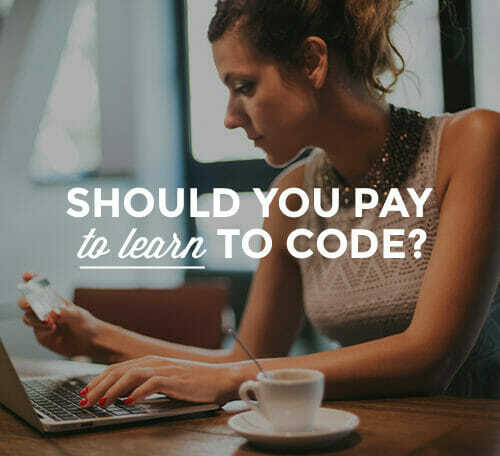 Should You Pay to Learn to Code?